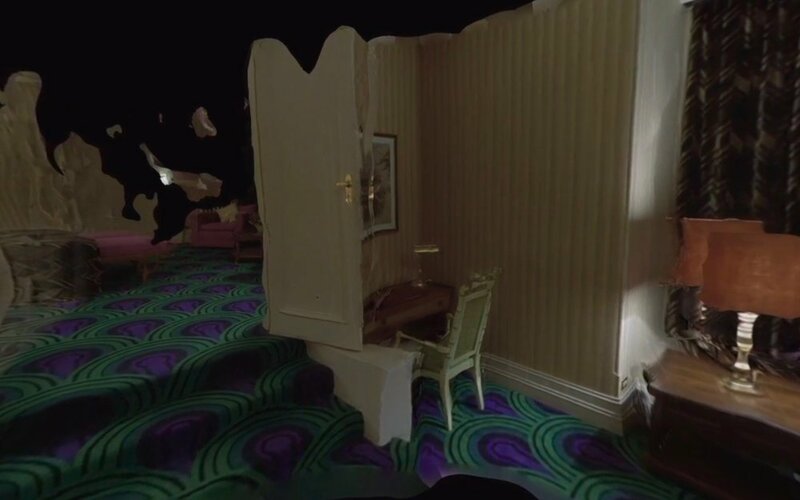 Our desire to remain in the fictional space of Stanley Kubrick's 1980 film ‘The Shining,’ after the narrative is over has made it one of the most iterated on film of all times. Shining360 is a continuation of this tradition. 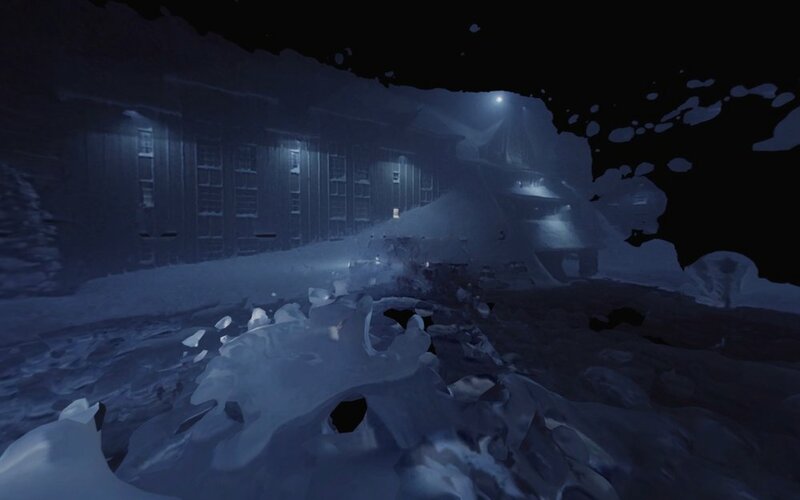 Shining360 is a 30-minute audio-visual work that uses contemporary methods of three-dimensional capture to revisit the spaces within Kubrick's film ‘The Shining,’ in 360 degrees. 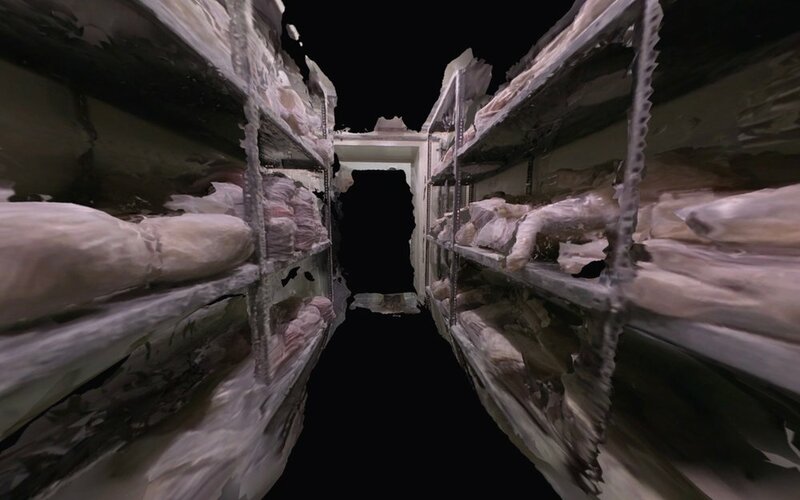 To produce this work, the entirety of the film was broken down into still frames, and three dimensional models were extracted from individual scenes by computing depth from the series of images, a process known as photogrammetry. 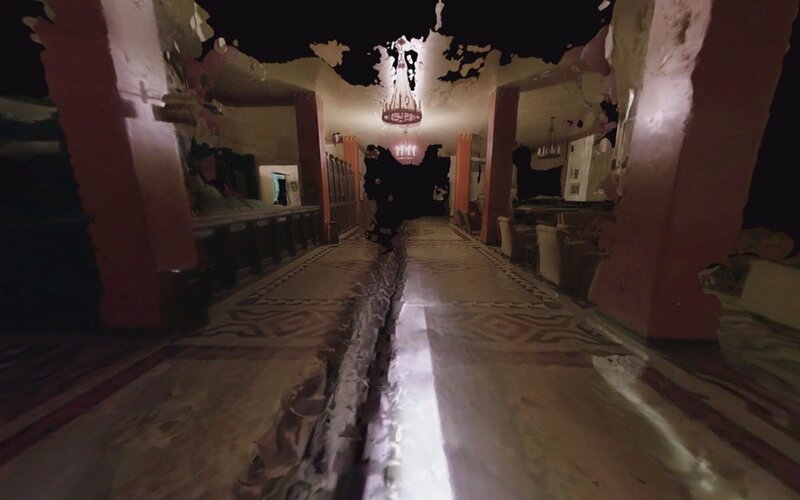 The resulting 3D fragments of spaces are explored in 360 degrees along the film’s original camera path. 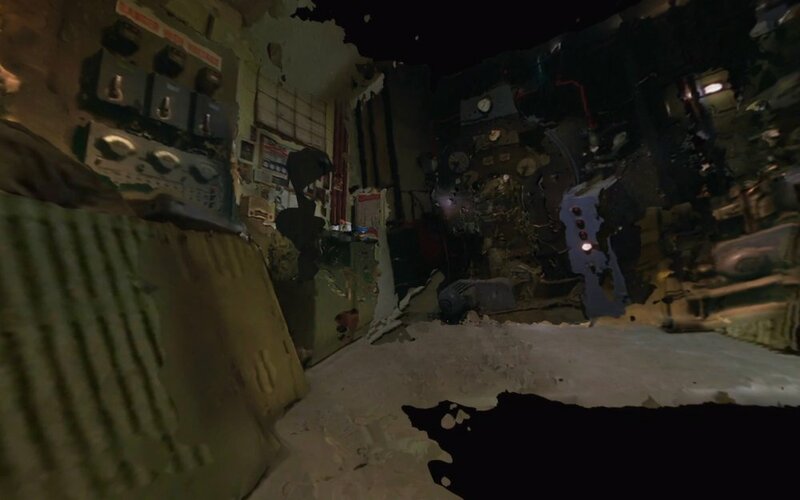 The result is a look into what remains of a fictional space that has existed for almost four decades, but this time with the ability to look around. Both the audio and visual components of this project are created entirely from the original content of the film. 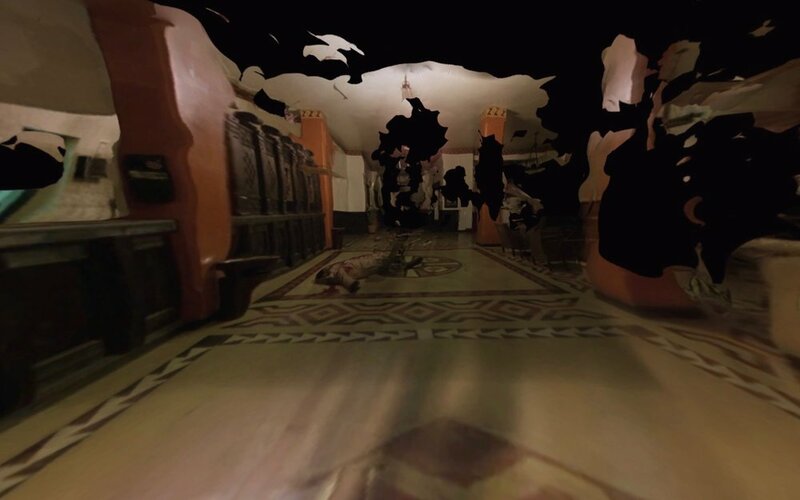 It can be viewed in VR using the youtube phone app & a google cardboard. Many thanks to Golan Levin and the Studio for Creative Inquiry for supporting this project. All content derived from Stanley Kubrick's The Shining.